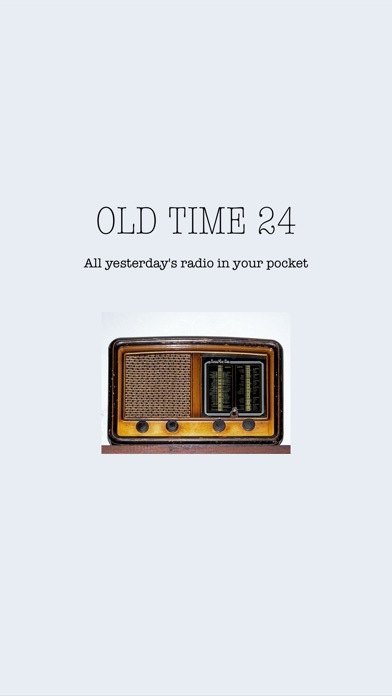 More than 35 Yesterday and Old Time stations streaming the best music and old shows for your pleasure! DOWNLOAD IT NOW. FREE!! 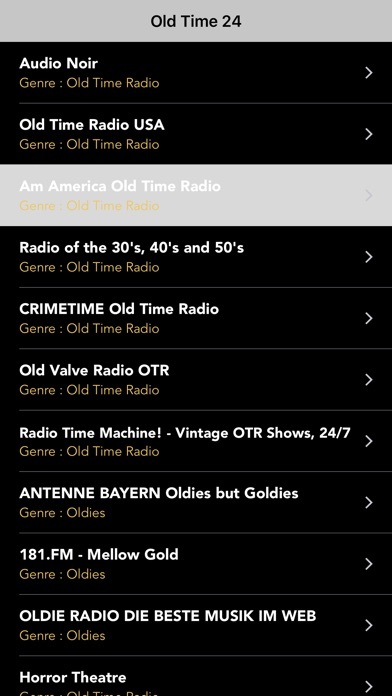 A radio player app to listen to yesterdays and  Old Time USA Radio stations. This unique app is for the fans of old radio shows from the 1920s to 1950s and 1970s! This yesterday's USA app stream its music and shows through the internet and satellite radio. - This app features run in the background so you can surf the web on your phone while it streams OTR and YUSA. - Show the bitrate (kbps) and the quality of the stream. 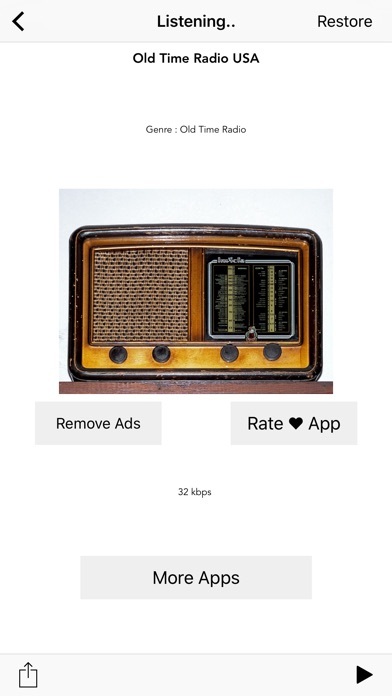 - You can Play/Stop and Resume the radio station from the locked screen of your device. We promise that you will enjoy an amazing collection of yesterday's music and shows from the 20s,30s,40s,50s,60s and 70s. This is not a lite app.You will get all the features listed above.We use the app ourselves when we feels vintage,classic and nostalgic. 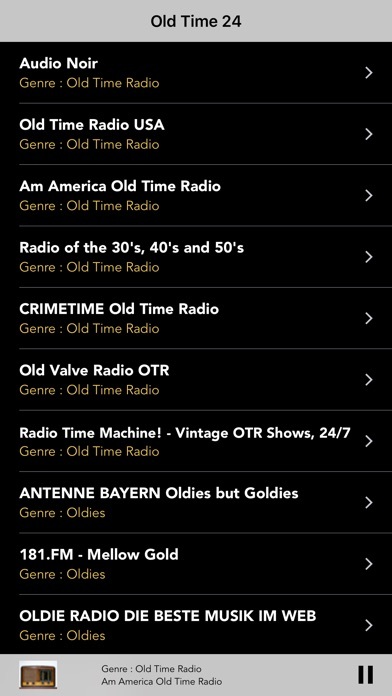 We promise you to travel back in time and listen to dramas ,mysteries, and comedies shows from yesteryear radio stations. You Bet Your Life and more. We'll do our best to include all of these ad more and we are open for your recommendations. Just contact us and we will be glad to add your recommendation. -This app is an internet radio player and is not affiliated with this or any other radio station. -This app does not host the streams being played and is not responsible for the content or language used in the streams. -Content copyright and all live streams referenced in this app are owned by the respective radio stations. If you notice any offensive, crude, improper or copyrighted content being played, please reach to us so that we can hear you request and edit/remove the offending stream or channel. Thank you so much using our product. You can have a look at some of other apps we developed.